CYBA member and past president had an illustrious yacht brokerage career. 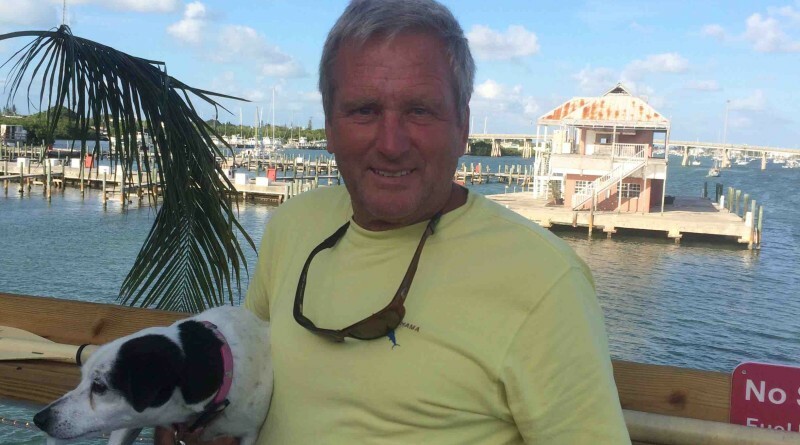 OREGON — Michael Wiest, a longtime California Yacht Brokers Association (CYBA) member and 2006 past president, has died. He was 68. Wiest passed away suddenly on Aug. 13 in Fort Klamath, Oregon where he was visiting family and friends. Wiest was born in Salem, Oregon on Jan. 18, 1948, grew up in Chiloquin, Oregon and graduated from Chiloquin High School in 1966. After high school, he served four years in the U.S. Navy which motivated him to pursue a career in the boating business. He joined John Beery Yacht Sales in Alameda, Calif. in the ’70s and continued an illustrious career in yacht brokerage for almost 40 years, working for Nor Cal Yachts, Jack Dorsee Yachts, McKinna Yachts, Ballena Bay Yachts, Crow’s Nest Yachts and finally his own brokerage, Yachts Pacific, which was renamed Michael Wiest Yacht Sales, based at Emeryville Marina on the East Bay. Gradually winding down his day to day involvement with the brokerage office, he and his partner, Patty Brown, bought and ran the Sun Pass Ranch B & B in Fort Klamath for the past 11 years. After retiring from the B & B about a year ago, he fully retired from the brokerage business and Brown and Wiest purchased, restored and refurbished a 53-foot Pearson sailboat named Emme. Based in Marathon in the Florida Keys, they enjoyed sailing in the local area, the highlight being a recent voyage to Havana, Cuba. Wiest had a love for family, friends, horses, cross country skiing, boats, sailing, nice cars and good music. He was kind, generous, loving and selfless. He is survived by daughter Willie Wiest (Rob Valdez); son Bowen (Rachelle) Wiest, three grandchildren, his mother, Joyce and brothers, Mark, Tim and Andrew. He was preceded in death by his father, William, and brothers, Tom and John. A memorial celebration of life was held for family and friends on Aug. 20 in Fort Klamath. A second memorial will be held in the San Francisco Bay area where he spent a good part of his yachting career. That date has yet to be determined. The family requests donations be sent to GoFundMe.com/michaelwiest in lieu of flowers. This fund has been established for Michael’s granddaughter, Lucy, his 2-year-old granddaughter who has multiple medical conditions. Wiest loved her very much and wanted her to have the best care possible, according to the GoFundMe webpage.